Four years after the release of the original Aries, this groundbreaking streamer is getting a high-tech upgrade in the brand-new Aries G1 Wireless Streaming Transporter. Infused with AURALiC technologies and designs developed for its premier G2 line, the Aries G1 connects over Wi-Fi to digital sources like network attached storage, Internet streaming services like TIDAL and Qobuz, Internet Radio, and USB drives to bring high performance streaming to your home audio system. On-Device Playlists, Memory Caching, Gapless Playback and Bit-Perfect Multi-Room functionality are among the features found in all AURALiC streaming devices, and with support for Spotify Connect, AirPlay, and Roon Ready, Aries G1 connectivity is more expansive than ever. Improved hardware offers a serious boost in performance in the Aries G1, to make it a perfect choice for streaming audiophile-grade resolutions up to DSD512 and PCM 32-bit / 384 kHz. "The Aries G1 is a beautifully realised streaming platform that delivers the AURALiC experience to a variety of DACs at any attractive price," notes Ed Selley in Hi-Fi Choice magazine, January 2019, which award the G1 top honors of Five Stars. "If you have a DAC, this is the most transparent way to add network music streaming to your system and leads the way in this field." "It sure occupies the sweet spot of the performance-to-cost ratio in AURALiC's wireless streamer product lineup," reports Yongki Go at Secrets of Home Theater and High Fidelity, November 5, 2018. "It is a nicely built product that packs features and performance among the best in its class… With sonic performance that is not far off from what the top-of-the-line product offers, the ARIES G1 is easy to recommend." 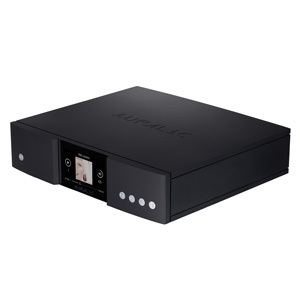 The Aries G1 Wireless Streaming Transporter from AURALiC carries on the Aries tradition of skillfully managing the connections between various sources of high resolution digital music and the rest of your hi-fi system. The Aries G1 streams high-resolution digital music from local network locations, attached USB storage, Internet streaming sources like TIDAL, Qobuz, and Spotify, and Internet Radio, delivering all of it to your current setup over Wi-Fi. Whether you enjoy the Aries G1 on its own or working in concert with other G Series devices from AURALiC, the G1 is designed for music lovers who require the most discerning, powerful, and responsive approach to music streaming. Why settle for less than the best, when AURALiC makes premium performance this affordable? 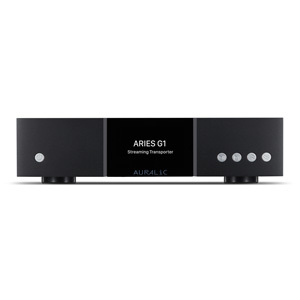 Being based on the DNA of AURALiC's original Aries means that the new Aries G1 benefits from all the features and functionality of Lightning Streaming. That's the infrastructure that AURALiC developed for its streaming products. On-Device Playlists, Memory Caching, Gapless Playback and Bit-Perfect Multi-Room functionality are all standard Lightning features that give you a huge amount of power and control when enjoying your favorite music. For user control, AURALiC's well-regarded Lightning DS iOS app serves as the system's primary interface, so users have plenty of browsing and playback features at their fingertips with the G1 as well. 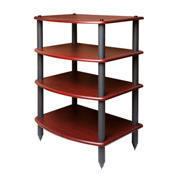 The unit is compatible with AirPlay and SongCast. It can also function as a RoonReady endpoint. Set-up and configuration changes are easier than ever with a recently added, universally accessible web admin. The Aries G1 uses the fast and powerful Tesla G2 platform. In 2014 AURALiC developed the original Tesla hardware platform with the goal of creating a high-performance, upgradable platform optimized for audio sound quality. Working hand-in-hand with the company's control interface and innovative software features, the resulting Tesla platform was the most powerful processing platform available for digital music playback and streaming. But now there's Tesla G2. It's 50% faster, with twice the processing resources. Tesla G2 is the hardware powerhouse behind the sonic excellence of the G2 line, and the Aries G1 benefits from it, too. This upgrade of the original Aries wouldn't be possible without a lot of technology borrowed from AURALiC's premium G2 line, and that means a serious boost in performance and functionality. The new version supports streaming resolutions up to DSD512 and PCM 32-bit/384 kHz over a home Wi-Fi network, for example. And the processing heart of this year's G1 is in fact the same as what's found in the top-of-the-line model Aries G2 from last year. The Aries G1's processing speed of 37,500 MIPS is the product of CPU performance that's 50% faster than the original Tesla G1 processor. Furthermore, the G1 provides twice the system memory at 2GB and data storage at 8GB as the Aries G2, offering fluid audio signal processing and support for advanced features. The Tesla G1 not only handles the most demanding audio formats with ease, but it also drives the Aries G1's software processing engine and its advanced DSP functionality, including upsampling duties and a bigger memory cache for an exacting level of sonic quality and stability. Open network connections and data fetching are prone to noise that can hurt the quality of your audio signal. The Tesla G1 hardware platform dedicates a whopping 1GB of RAM to the task of caching, lowering the frequency of open circuits and helping your music sound better. 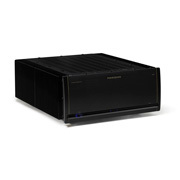 Outside, things also bear a similarity to AURALiC's premium product line, with the Aries G1 chassis that's inherited its design aesthetics from the G2's sleek Unity Chassis. The anodized black aluminum enclosure is updated with front panel buttons for easy navigation — or just use the Smart-IR function to assign control to any remote. That front panel of the Aries G1 borrows the G2's 4.0-inch true color retina resolution display as well, and inside the G1 you'll find dual Purer-Power linear power supplies just like in the G2, separating and isolating the processing circuit from the digital audio circuit for less noise and better sound. The Aries G1's Dual Femto Clocks have got you covered no matter how you like to connect. With two separate, super-accurate clocks cycling on the order of quadrillionths of a second, you'll enjoy extremely low jitter and better sound. One clock takes care of digital outputs, and the second regulates USB output, so you can be sure your musical signal is always rock-steady. The second generation of AURALiC's ActiveUSB technology provides more than just asynchronous control over USB data for enhanced accuracy and precise re-clocking to reduce jitter. It also bypasses the USB power stream, using its own Purer-Power linear power supply instead. That means dirty USB power — and the EMI noise that comes along with it — is kept as far from the music as possible. AURALiC has given the Aries G1 two of its ultra-quiet Purer-Power linear power supplies, galvanically isolating them from each other in the obsessive quest to reduce noise for better sonic performance. Processing and display power is completely separated from sensitive audio components that operate on their own dedicated supply. 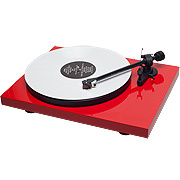 Interference between the separate areas is reduced to zero, so all you'll hear from the Aries G1 is the music. The first of two Purer-Power supplies feeds the Aries G1's processing circuit, LCD display, and storage – whether internal or attached via USB. 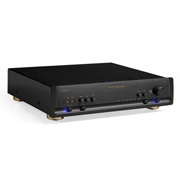 The second Purer-Power pathway is dedicated to sensitive audio components such as the Femto clock and USB audio output. Both power supplies are galvanically isolated from each other to ensure zero EMI interference between them. Power Consumption: Sleep: <10W; Playback: 50W at max. Dimensions - W x D x H, 13.4 x 12.6 x 3.2 in. "The Aries G1 is a beautifully realised streaming platform that delivers the Auralic experience to a variety of DACs at an attractive price. If you have a DAC, this is the most transparent way to add network music streaming to your system and leads the way in this field." "The ARIES G1 wireless streaming transporter is a product created based on some of the best engineering know-how that AURALiC has invested in the top-of-the-line ARIES G2. The effort seems to pay off nicely, resulting in a high-fidelity wireless music streamer that is well built, feature laden, and very competent sonically at a significantly lower price. Its streaming operation is smooth and fast, and more importantly it has wonderful sonic performance. Clearly, these two new ARIES (G1 and G2) form AURALiC’s potent one-two punch to meet the market demands of audio enthusiasts with different priorities. 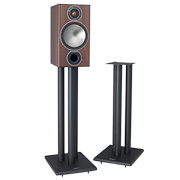 With sonic performance that is not far off from what the top-of-the-line product offers, the ARIES G1 is easy to recommend. In fact, it gets my vote for the higher performance-to-cost ratio wireless streaming transporter between the two." 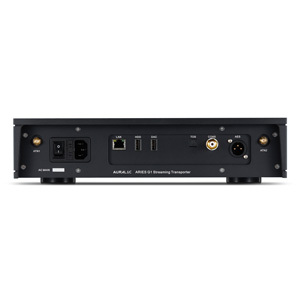 "Focusing on accessing your digital music files from a home or external server and presenting them to an outboard DAC, the Aries G1 is equipped with a USB-A port alongside optical, co-axial and AES outputs to cover all connectivity options. Auralic's accompanying Lightning Server software provides a peerless way to access music and offers impeccable integration with streaming services including Tidal and Qobuz. While performance is dependent on the DAC it's partnered with, there's genuine sense of the Aries G1 enabling the music to express itself, presenting a gloriously transparent sound regardless of file format or style of recording." "The Aries G1 is a beautifully realised streaming platform that delivers the AURALiC experience to a variety of DACs at any attractive price. If you have a DAC, this is the most transparent way to add network music streaming to your system and leads the way in this field."